Today I shared a post on my councillor Facebook page addressing the GP crisis in Scotland. 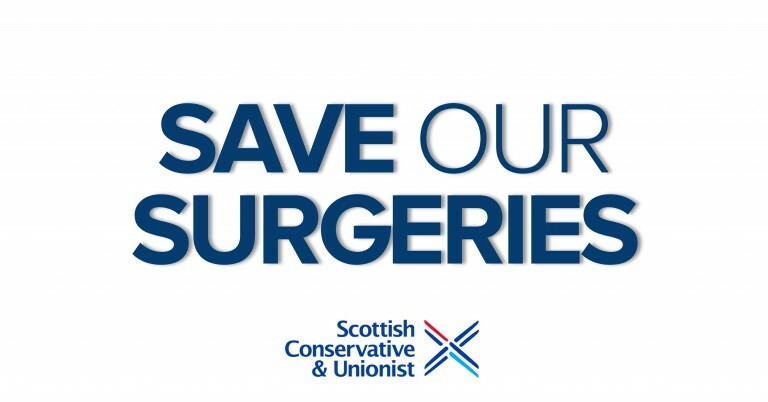 The Scottish Conservatives have launched a "Save Our Surgeries" campaign in response to the GP crisis in Scotland as a result of a decade of mismanagement under the SNP. Scotland is now short of over 800 GPs, with an estimated 3,000 having left Scotland over the past decade. SNP proposals for a further tax grab are only likely to exacerbate this problem not remedy it. British Medical Association (BMA) data also suggests that as many as 1,500 doctors are set to retire by 2020. 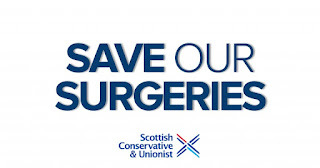 The Scottish Conservatives would like to see prioritising of GP services by having 11% of all NHS spending going to local practices to boost recruitment, retention and working conditions. Keeping in mind the GP surgery is most often the first point of contact a patient will have with a doctor, it is imperative that there are enough GPs and that people are not waiting weeks to be seen. It is not uncommon at all now to have to wait for 4 weeks for an appointment with a GP - only a few years ago that would be 2 weeks maximum. I am looking for residents across the Ward I represent to contact me to discuss any concerns they have with waiting times, follow-up appointments, duration of appointment and if they can even get onto a GP list to begin with. Please contact me via the usual channels - email, telephone, Facebook and I will be happy to discuss further. Below are a couple of links to the Scottish Conservatives website with further information. Our Shadow Health Secretary, Miles Briggs MSP is working hard to address SNP failings and gather more information on a Scotland wide basis. Your views matter. Lochgelly High School - What Happens Next?